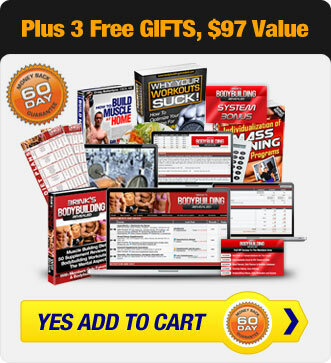 After purchasing the BodybuildingRevealed.com ebook and associated materials, you are authorized to download one copy of the material on our Site on one computer for your personal, non-commercial use only but you may not in so doing remove or amend any trademark, copyright or other proprietary notice. To the extent you have in any manner violated or threatened to violate BodybuildingRevealed.com and/or its affiliates' intellectual property rights, BodybuildingRevealed.com and/or its affiliates may seek injunctive or other appropriate relief in any state or federal court in the State of New Jersey, and you consent to exclusive jurisdiction and venue in such courts. If a dispute arises under this agreement, we agree to first try to resolve it with the help of a mutually agreed-upon mediator .Any costs and fees other than attorney fees associated with the mediation will be shared equally by each of us.